A bulava is a short war mace from the Slavic countries. With the Pahlavandle™ EXT, you can recreate the feel of a longer club or mace. It is the perfect way to practice Persian meel swings, and experience more torque while still swinging a relative light weight. The EXT has no seal. It is used to create a longer handle, and should not be screwed directly onto the bottle. 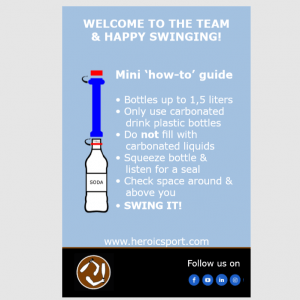 We recommend screwing 3 handles together maximum, and keeping the weight of your bottle under 3kg! The Pahlavandle™ EXT is sold as a pair, and has the same dimensions as the regular Pahlavandle™. Just received my Extenders today and got straight into the Persian meel swings. I thought my shoulders felt good after a few minutes of heart shaped swings in both directions. With the weight being further away from the shoulder, I’m getting a completely different feeling in my shoulders. They feel like they’re opening up another level. Highly recommended if you’ve already done a bit of swinging with regular clubs. A set consists of 2 handles. Bottles and caps are not included. 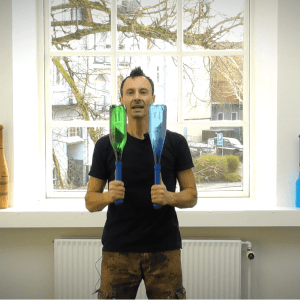 CLUB SWINGING HAS STOOD THE TEST OF TIME FOR A REASON, IT WORKS! 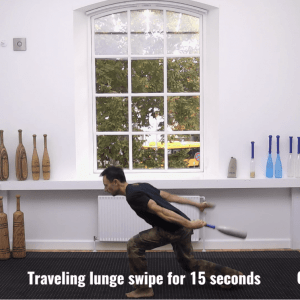 From ancient warriors on the battlefield to physiotherapy and somatic therapies, the circular and rhythmic Indian club swings have improved many conditions. 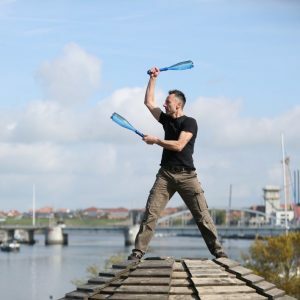 According to how you train, you will improve strength, mobility, balance, agility, or even experience better clarity of mind and a Zen attitude. It’s fun and good for you! WE MAKE IT EASY TO LEARN FROM HOME! We provide you with structured instruction so that you can go past the basics circles, and master the signature move of Indian clubs, the heart shaped swing. 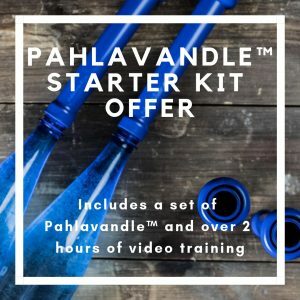 The Starter Kit includes a set of Pahlavandle™ and our Club Swinging 101 and 102 video packs. We go over all the tips, relevant angles and ways to trouble shoot technique. SAVE 10% and get everything you need to get started with Indian clubs! 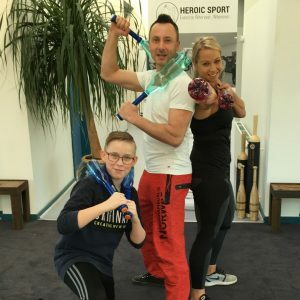 Join the Heroic Sport tribe! Download your own coffee break sign and share your love of Indian clubs with others.